Experience HBL | Higher Brain Living - A new brain. A new beginning. The Higher Brain Living® System is a revolutionary discovery that is transforming the way we approach healing and personal growth. This gentle-touch technique creates a powerful surge of energy along the connective tissue of the body directly into your pre-fontal cortex, energizing and activating the largely untapped potential of the Higher Brain, opening you up to an entirely new way of living. As your Higher Brain (prefrontal cortex) becomes energized, you’ll discover that you are good enough, worthy enough, deserving enough, connected to and a part of an accelerated experience that is free of limitation—otherwise known as ‘your new life.’ Clients report experiencing better relationships, greater financial freedom, increased work satisfaction, a healthier body and more. But more than simply a physiological change, Higher Brain Living® offers you the methodology and insight to create a lifelong map toward limitless and meaningful personal growth. 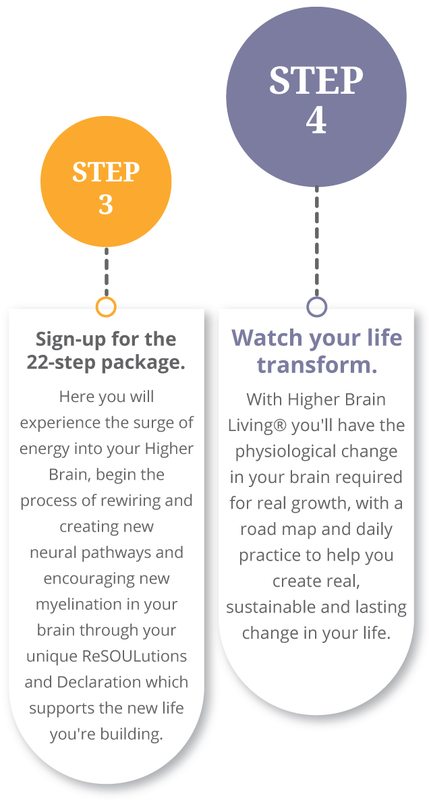 A Higher Brain Living® Session facilitates a surge of energy into the Higher Brain. When this new discipline is applied, a spontaneous movement of breath surges in the body, creating a feedback mechanism that brings life-sustaining oxygen up through the body and increasing metabolism in the Higher Brain. This feedback mechanism releases stress, rejuvenates and reorganizes every cell in your body, for rapid vertical transformation in your brain and in your life. Free your lower brain of stress, anxiety and depression and experience joy, confidence and purpose. This one-of-a-kind technique literally frees your fear-based lower brain. The 22 step program offers the chance to create an extraordinary new life, to thrive, to let go of stress, anxiety and depression—and experience joy, confidence, purpose and passion while growing and evolving daily. 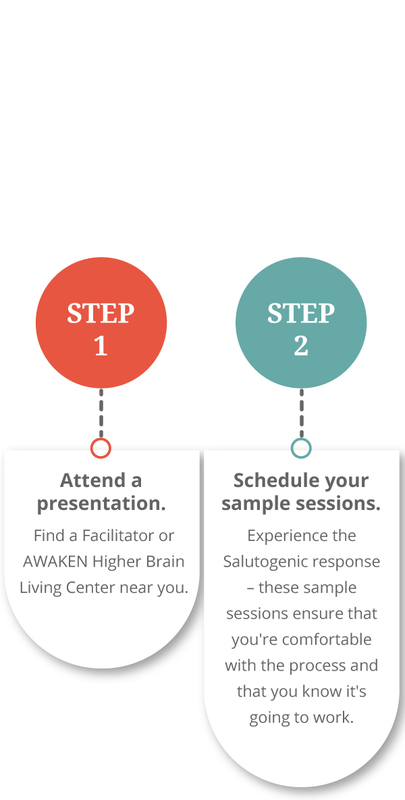 You’ll get an amazing special offer at the presentation and a chance to experience Higher Brain Living® firsthand before enrolling in the entire program. The length of the program is carefully designed to give you long-lasting and sustainable change both in your brain and in your life. You’ll also get to know a community of change agents who will support the emergence of your fearlessly authentic self. Your journey has only just begun.